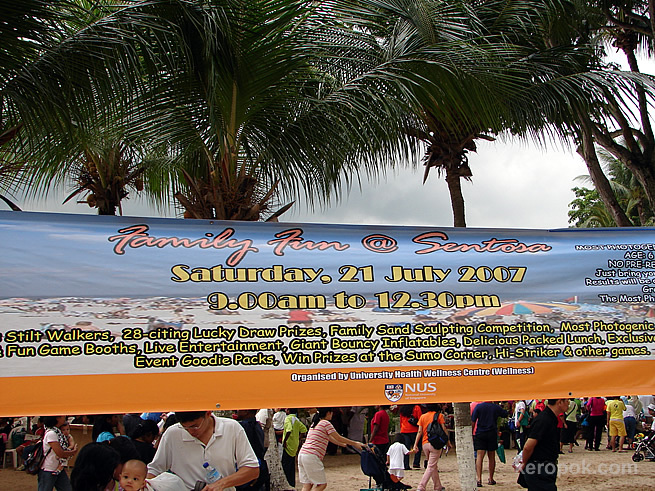 The Staff of NUS (one of the world's best university) had her Family Day today (Saturday) at Sentosa - Singapore's Resort Island. It sure was interesting, that even the rain visited us! However it is great to meet up with colleagues from within our own school and from other faculties as well. Does the place where you work provide family friendly practices and do they have family days?